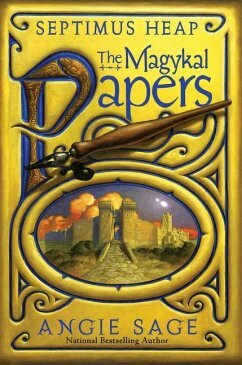 SEPTIMUS HEAP: THE MAGYKAL PAPERS is a collection of never-before-seen documents from the world of Septimus Heap. Contents include top-secret papers from the files of the Supreme Custodian; detailed maps; pamphlets by Silas Heap; excerpts from the private journals of Septimus, Jenna, and Marcia Overstrand; messages from the Rat Office and a glimpse into the Office's inner-workings; The Egg-on-Toast Restaurant Guide; Alther Mella's Guide to Being Dead: Ten Handy Rules for New Ghosts; excerpts from the Pigeon Post Biography series and Heaps of History series; and much, much more. Ein Füllhorn an Informationen über die magische Welt des Septimus Heap. Opulent illustriert bietet es Einblicke in geheime Akten, Tagebuchauszüge von Septimus, Jenna und Marcia Overstrand, Kartenmaterial und vieles mehr. Diese bislang unveröffentlichen Dokumente sind ein absolutes Muss für jeden echten Fan! ANGIE SAGE was born in London and grew up in the Thames Valley, London, and Kent. She now lives in Somerset in a very old house that has a 480-year-old painting of King Henry VIII on the wall. 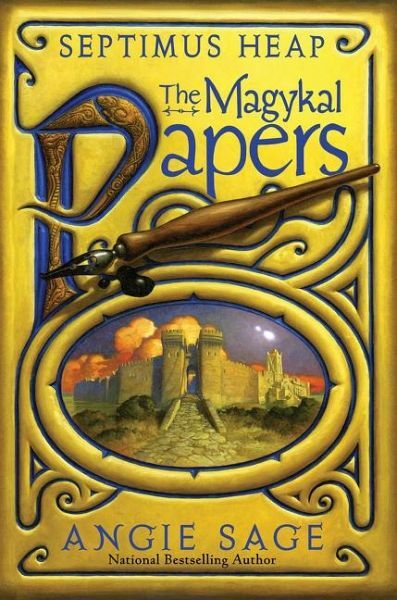 The seven books in her original Septimus Heap series are international bestsellers. She is also the author of the Araminta Spookie series. Visit her online at www.septimusheapblog.com or follow @AngieSageAuthor on Twitter. Mark Zug has illustrated many collectible card games, including Magic: The Gathering and Dune, as well as books and magazines. He lives in Pennsylvania.